Bethesda confirmed today that they will be releasing Skyrim's first DLC, Dawnguard, through Xbox Live tomorrow. However, you won't be able to get the new content yet if you own the game in a different language. 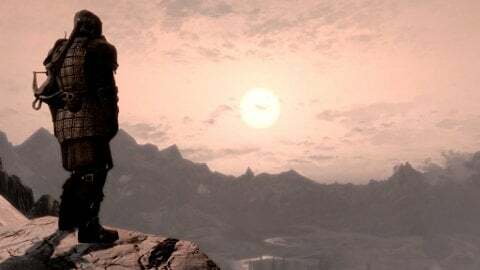 The French, Italian, German, and Spanish versions of Skyrim will receive Dawnguard in mid-July. However, those customers will have something to keep them entertained in the meantime: patch 1.6. The patch, which introduces mounted combat, will be arriving today on the 360 for those versions. Dawnguard depicts a war between a sect of Vampire Lords and their hunters. These vampires are planning to shroud the entire world in endless darkness in order to ensure vampires' supremacy. Players can side with either faction in this conflict. In the process, they'll get access to new weapons, armor and Dragonshouts. If you side with the Vampire Lords, you can become one of them and access new powers. The DLC is a timed exclusive for the Xbox 360. PS3 and PC gamers will need to wait at least an extra 30 days to get their hands on the content. They'll have to do the same for the game's second DLC pack, currently unannounced. Dawnguard will cost 1600 MS Points ($20) to download. Some Xbox 360 owners got the content for free by participating in the beta, but this was a very small group. To cap off today's news, Bethesda released a fresh screenshot from the DLC. It shows an adventurer who decided to become a crossbow-wielding vampire hunter. His reward for saving Tamriel: a damn nice sunset.